In this type of PMO, Rahma shall be providing the trained project planning professionals that shall be representing Rahma consultant in the Project Site Offices. 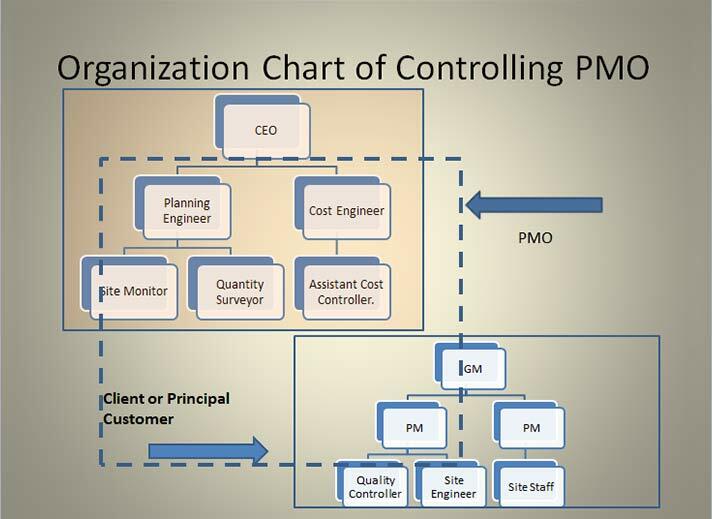 This type of PMO is suitable for the customer who has adequate project management and supervision staff but they are trying to improve their planning and project monitoring mechanism. To define and direct corrective action to create ongoing improvement in project management. To monitor and control the project in presence of our representatives who shall make updates to the time schedules and compare it with the baseline time plan on periodic basis. To provide reviews and audits of the ongoing project management practices. Prep of Time & Cost Management Plans % Co-ordinations with Clients.